Whether you’re new to mothing or an experienced moth-er, you can contribute to science by submitting photos and information on your sightings to Butterflies and Moths of North America (BAMONA), a partner of National Moth Week. BAMONA is a unique, well-respected, and established database of verified butterfly and moth sighting records. If you take part in National Moth Week, you can provide your data to us and receive free identification assistance. You’ll be contributing to this valuable dataset and online resource. You will need to register for an account, but it is quick and easy to do, and logged-in users can track their submissions. Simply take a photograph of a moth, and submit that information to us via our online submission form. 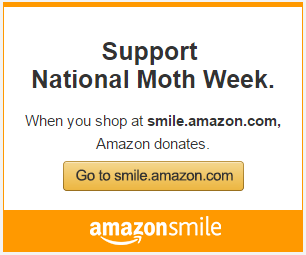 Make sure to select “National Moth Week” under the list of Partner Projects. We’ll add the verified records to the database, maps, and checklists, and your data will become part of a growing dataset. To see the records that have been verified so far, visit the National Moth Week Data Explorer. BAMONA currently houses nearly 600,000 individual sighting records that have been submitted by the public and verified by collaborating lepidopterists who review each submission. Sighting data are regularly exported to scientists at academic institutions and government agencies for research purposes. In addition, sightings are made available to the public on the BAMONA website’s species pages with maps and life history information, and via regional checklists. BAMONA users have access to a personalized dashboard that organizes all submitted sightings and their status. 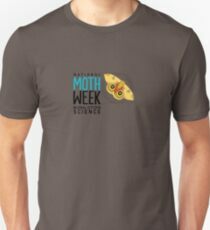 Getting involved is easy: attend a National Moth Night event, start an event, join friends and neighbors to check porch lights from time to time, set up a light and see what is in your own backyard, or read literature about moths, etc. Visit the National Moth Week website for more information, or learn how to register. National Moth Week 2016 will be held from 23rd to 31st July. Anyone can participate. Register a public or private event or find one to attend by checking the website for public events. Registration is free to individuals, groups and organizations. This entry was posted in Data Collection and tagged BAMONA, Col, data, partner, partners. Bookmark the permalink.